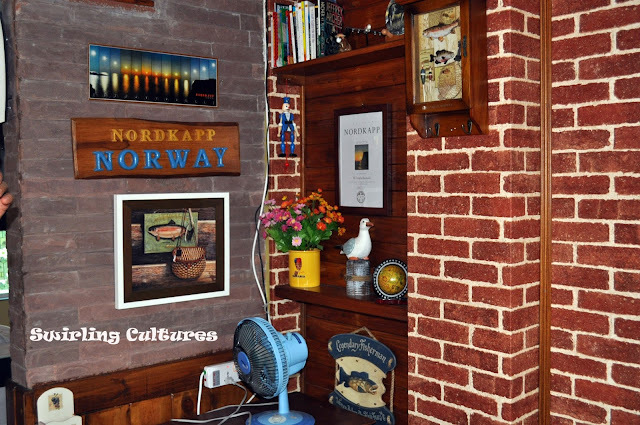 I have no idea what houses really look like in Norway as I've never been there, but a visit in a resort in Nakhon Nayok province gave me a glimpse of what a Norwegian house look like, at least according to a colleague who owns the resort. From a far, they never looked so different from other houses I see both the Philippines and Thailand. However, the inside says otherwise. 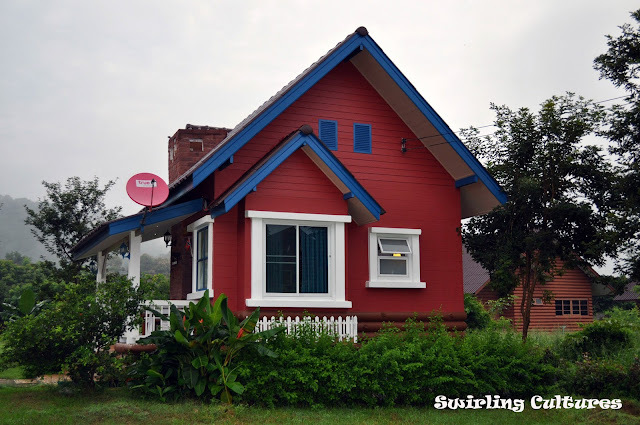 The front porches were covered with bricks of red and white, similar to the houses I saw several times in European movies. She said those were Norwegian inspired. From the looks of the cottages, i mean houses, it seems she has been. There were several posters about Nordkapp in which google told me as one of Norway's municipalities. There were also photos, books, maps, and many other things related to Norway. When i was inside i felt i was sent there. It was a huge transformation because everything you see talks about Norway. One friend once told me "If you put posters or anything related to a certain country or place that you like - you will have the sense of feeling of being there". Before i left, i couldn't agree more.